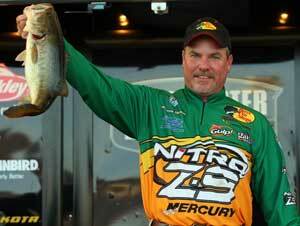 Bassmaster Elite Series pro Keith Poche, a Louisiana native, talks about the possible effects of a cold snap. By most accounts, Louisiana Delta conditions are ripe for a slugfest in the Feb. 18-20 Bassmaster Classic. The overall good health of the fishery strongly hints at the possibility of hefty bag weights — record weights, even, for five-fish limits in three days. “Winning won’t be a matter of who has five, but of who has five big ones,” predicted Bassmaster Elite Series pro Keith Poche, a Louisiana native who’s neutral in the discussion because he isn’t in this competition. Yet one weather event that’s common in February — and all-too common in this frigid winter of 2011 — could change the game quickly and completely: a cold snap. Southern Louisiana has already experienced a big February chill. For several days of the month’s first week, night air temperatures dove into the low 30s. Some area predictions were for lows in the 20s, according to Elite pro Dennis Tietje, whose home in Roanoke, La., borders the heart of the delta fishery. 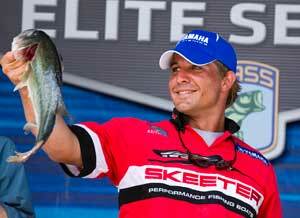 Roanoke Louisiana Elite pro Dennis Tietje lives near the heart of the delta fishery. Photo Credit: B.A.S.S. The flip side of that scenario is that shallow, marshy water heats back up fast. “It doesn’t take very much sunshine in the shallow conditions of the delta. The water’s stained, and it will warm up a lot faster than clear water. It won’t take but a couple of days of sunshine to trigger a feeding frenzy,” Tietje said. In a big chill, as little as 3 degrees can make a big difference, he said. The successful Classic competitors will be those who know where that slightly warmer water is and — most important in delta sprawl — how to get there the quickest way possible. Tietje is optimistic that anglers will be able to tote big bags to the scales each day on the Bassmaster weigh-in stage inside the New Orleans Arena. “Depending on Mother Nature, the delta is setting up to be excellent fishing,” he said. Now living in Troy, Ala., Poche keeps in touch with his roots. He grew up in Natchitoches, La., and took many a trip to the delta to hunt for big bass. He predicted that flipping will be important in the prespawn delta, with spinnerbaiting early in the morning.